Q&A with Director (Kang Hyung Chul) & Cast of "Sunny"
Q&A for "Sunny" took place after a screening of the movie at the 2011 Busan International Film Festival on October 7, 2011. 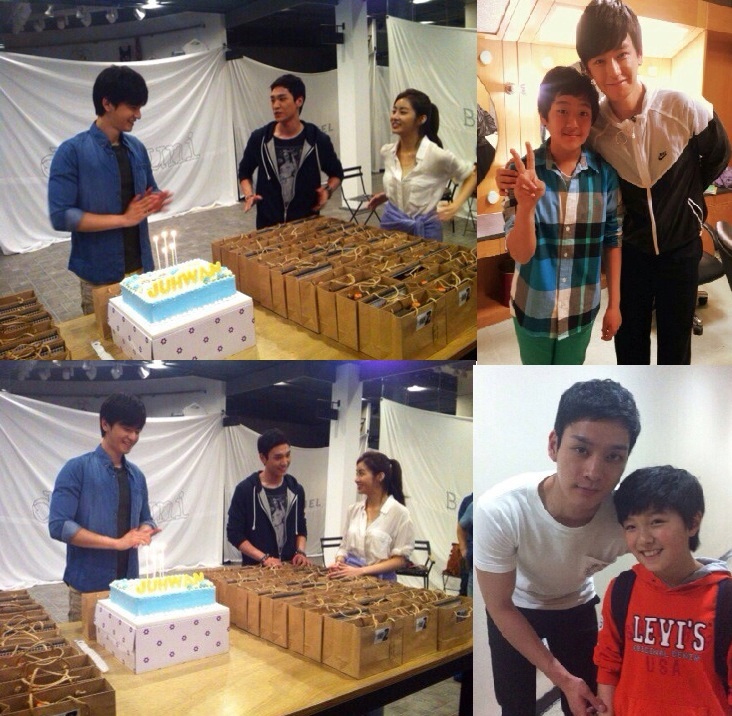 Kang Sora - Hi, I'm Kang Sora who played teenage Chun Hwa. I thought I wouldn't say hi anymore for this movie, but I am glad that it is playing again and I have the opportunity to say hi again. Audience Question - I watched "Sunny" a total of 3 times. Twice the the regular theater version and once the director's cut. My question is for the actresses that played the teen characters. After watching "Sunny," for the first time I looked up the ages of the actresses. You are young. The time era of your characters was before your time. Any difficulties portraying your characters because of this? Kang Sora - No difficulties at all. During the filming we had a lot of fun. We didn't have our memories to rely on so everything felt new to us. Audience Question - This question is for Kang Sora who played teen Chun-Hwa. The movie has quite a few violent scenes. You seemed to kick and punch well. Did you like doing that? Kang Sora - I like watching that stuff in movies, but I've never tried that before. During filming I got tired, but I relived my stress by doing a lot of those scenes. Audience Question - Chun Hwa read a martial arts novel during class. I've also read that Kang Sora likes to read martial arts novel in real life. I'm curious if it was a coincidence or was that scene added after the casting of Kang Sora? Also, how close is Kang Sora to the character of Chun Hwa? Kang Sora - When I auditioned for the role I mentioned that I liked to read martial arts novels. Kang Hyung-Chul already had that idea for the character of Choon-Hwa. During filming, I became like 90% of the character Chun-Hwa. Nowadays, I think we're like 20% similar. Audience Question - Two actresses played one character. I would like to know what efforts the two actresses did to have consistent characters? Kang Sora - I'm so honored to have gotten help from Jin Hee Kyung. She focused on my side. Thanks to the adult Chun Hwa, the teen Chun-Hwa became a great character. Jin Hee Kyung - Thanks to Kang Sora, the character Chun Hwa turned out even better. We also resemble each other. Before the movie, I had long hair and as I was cast for the movie I told the director that I would have my haircut. The director liked that a lot. Also, Kang Sora had her hair cut. Those details helps out a lot. 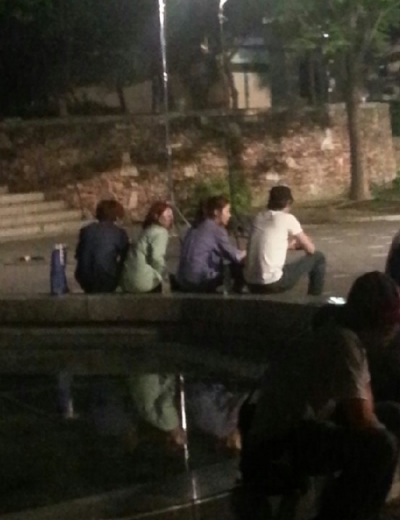 Kang Sora began filming her scenes first. So I referred to her acting in the beginning. She did a great job. *Notice: They read the script of episode 20 !! hows' the drama going? I have yet to catch up!!! how is sora and joohwan's relationship doing? Lim Joo Hwan's care for Kang So Ra is becoming a hot issue. On June 5th, SBS drama 'Ugly Alert' team revealed a photo of Lim Joo Hwan and Kang So Ra that was taken during a shooting. In the photo, Lim Joo Hwan is blocking the sun with his hand for Kang So Ra, who is reading through her script. Even though Lim Joo Hwan is getting all of the glaring sunlight on him, he is still showing a great care for Kang So Ra, and many netizens are showing great reactions for his good manner. An official said, "Lim Joo Hwan and Kang So Ra grew close very quickly, and they are always showing great care for each other. Please show a lot of support for the two. They will keep doing their best to show better looks in the drama." On the other hand, 'Ugly Alert' will air on SBS at 7:20 PM.